There are a multitude of reasons why Jordan makes a great holiday destination. The rich culture, the warm climate and all of the ancient history buried within its deserts and mountains. The most famous of Jordan’s historic locations, and the most visited tourist attraction of Jordan, is the beautiful stone city of Petra. Described by poet John William Burgon as “a rose-red city half as old as time”, it is truly one of the most remarkable pieces of architecture in the world. It was discovered on August 22nd 1812 by Swiss explorer Johann Ludwig Burckhardt, 200 years ago this month and Jordan plan on celebrating its bi-centennial. Burckhardt’s trek through the Middle East to find the source of the River Niger is something of a legend. He was continually distracted by other goals, such as finding the lost city of Petra, and was a foreigner in a hostile land. During his travels he had to disguise himself as a poor Syrian merchant to pass through areas of desert controlled by the Bedouins and other native tribes. 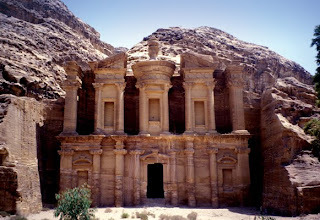 Burckhardt tricked his way into the fiercely guarded site of Petra by pretending to be an Arab from India, wanting to make a sacrifice at the tomb of the Prophet Aaron. After his rediscovery, he went on to perform the pilgrimage to Mecca where he decided to stay for three months. Sadly, he died before he could find the source of the river, with the rediscovery of the city of Petra remaining his greatest accomplishment. The anniversary of the rediscovery and increased awareness of Jordan’s history has seen a huge increase in the amount of tourists heading there and exploring the hidden city. The Arab Spring uprisings in the Middle East hampered the tourist trade a fair amount but Jordan was largely unaffected and more and more people are flocking back to take a look at one of the most recognisable World Heritage Sites UNESCO has to offer. For those who are unfamiliar with the site, you may have seen in the film Indiana Jones and the Last Crusade, as the entrance to where the Holy Grail was kept. It has appeared in many other pop-culture areas too, including Transformers: Revenge of the Fallen and books such as Agatha Christie’s Hercule Poirot murder-mystery Appointment With Death or Hergé’s The Red Sea Sharks, the 19th Tintin book. It’s coincidentally the 50th anniversary of the film Lawrence of Arabia, chronicling the life of T.E. Lawrence during his time with the British army in the Middle East, through countries like Syria (the modern-day Damascus), Iraq, Turkey and Jordan. The most familiar image used throughout popular culture and tourist postcards is of Al Khazneh, known as ‘The Treasury’. It is the first glimpse of the lost city that greets you after walking through a great gorge known as Siq, flanked on both sides by 80m high cliffs. With the gorgeous rock formations along the cliff sides, the orange-bathed light and the knowledge that Petra was carved from the rock face itself, both introductory experiences to the landmark are overwhelming sights and something that people remember for the rest of their lives. The abundant history of the country means Jordan is one of the most exciting holiday destinations in the Middle East, and if you like travelling in style then there are a wide variety of tour operators to choose from. A particularly luxurious experience of Petra is offered by Mosaic Holidays on their Luxury Petra Holidays page, with activities that range from touring through Wadi Rum, one of the most beautiful desert landscapes in the world, in a Jeep, staying in an exclusive Bedouin camp, to seeing Petra by night and star-gazing outings. With a 4 or 5 star hotel option you can be sure to visit in style. You can even combine this to trips throughout the rest of Jordan, seeing other tourist hot-spots like the Dead Sea or the capital Amman. The recommended time to visit is in September/October or May/Jun as these are the times for the most amount of daylight with more ideal temperatures. 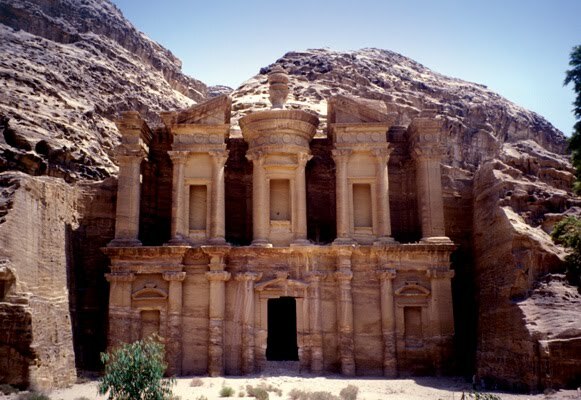 Jordan is certainly a luxurious and exotic destination far from the usual tourist hotspots in Asia, which makes it the go-to destination for would-be explorers and cultural connoisseurs and with 2012 playing host to several important anniversaries, now is the perfect time to take trip to Jordan.